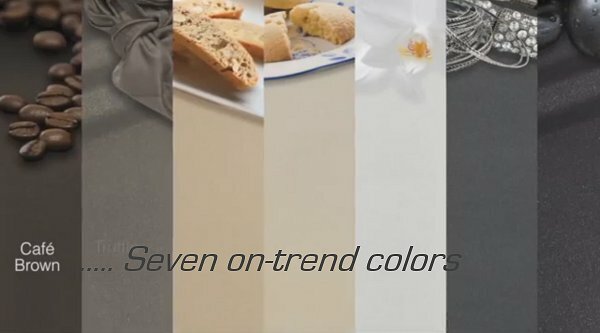 Color your kitchen beautiful is the slogan you can find on the website of Blanco, who is one of the other sponsors of the very exciting BlogtourNYC I will be attending next week! I visited their website to find out something more about them. It is not that I visit a site like Blanco everyday but I know from when I did my own kitchen renovation I spent hours on websites looking for sinks, knobs and new counter tops. So if you are about to make some decisions for your own kitchen have a look at the Blanco website. It is no secret I like a bit of Black & White. And also my kitchen has a strong Black & White feeling, with it's black wall and dark counter top. No wonder my eye caught the image of the SILGRANIT ® II sinks in black! Thinking a lot about videos on blogs lately, I thought I'd also have a look at the Blanco video's they show on their site. What I really liked after watching this little video.Was the fact the intro talked about the kitchen, being a reflection of your own good taste (thank you!) and how in real life it's a battlefield and the sink is in the center of the action..... I guess we all know this from experience. The video shows how SILGRANIT ® II sinks are resistant to stains, chips, heat, discoloration, food acids and more. Watch the video here to see for yourself! If you prefer some more color in your kitchen, there are several color trends to choose from. On the website you can also find some interactive color tools to find the right combination of sink and counter top for your own home. 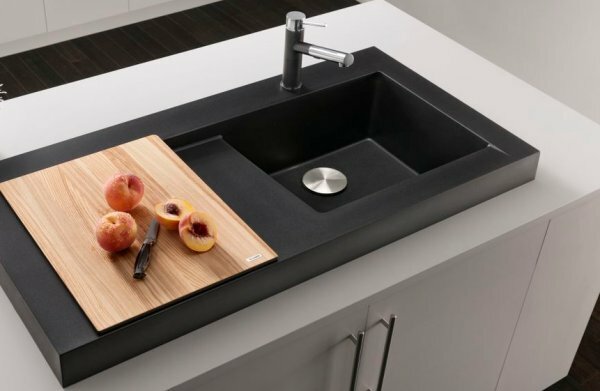 There are also several accessories to choose from to make your sink even more extraordinary, like the custom-fit cutting board above. Finally I love to show you the beautiful stainless steel sink on this amazing wooden counter top.... Thank you Blanco for sponsoring BlogTourNYC 2013.